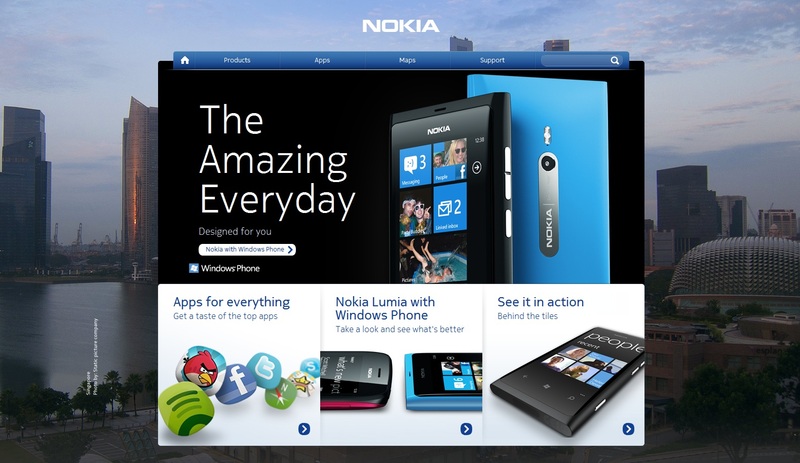 Looks like the Nokia Singapore site got updated too (just after Nokia India). You can see the beautiful backdrop of the iconic architecture at Singapore. The Lumia handset (Available yesterday in some countries) is prominent, but the product page also shows as usual, Belle, NFC, Business Nokia devices as well as accessories.